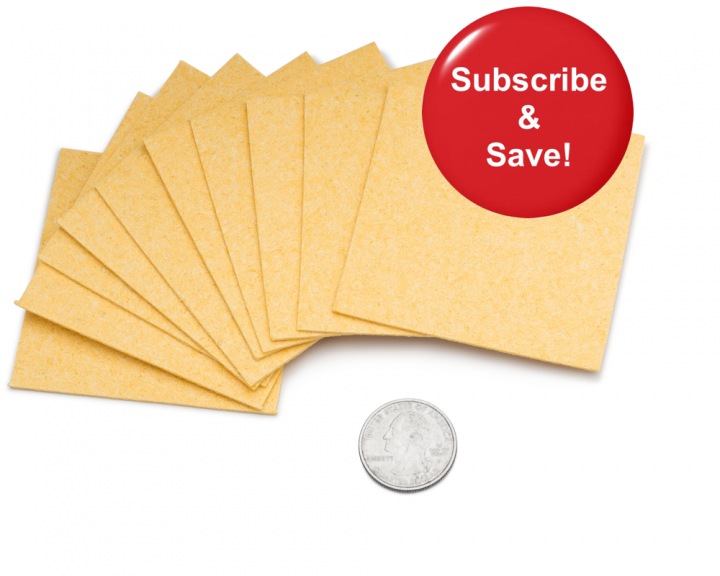 With our new subscription plan you’ll never have to worry about running out of fresh electrode sponges. Over time, electrode sponges lose their integrity leading to uneven current distribution and less effective tDCS sessions. In addition, using degraded sponges can sometimes cause tingling or itching sensations, especially during the start and end of tDCS sessions. While it is possible to reuse sponges, the best stimulation results can be obtained by using fresh electrode sponges for each session. Monthly subscription plan, cancel any time. These 3×3″ sponge inserts are used to replace the original sponges that come within our 3×3″ Professional Sponge Electrodes. Over time the sponges within sponge electrodes can grow brittle and crumble, crack, or split, causing an uneven distribution of current, and reducing the effectiveness of tDCS. 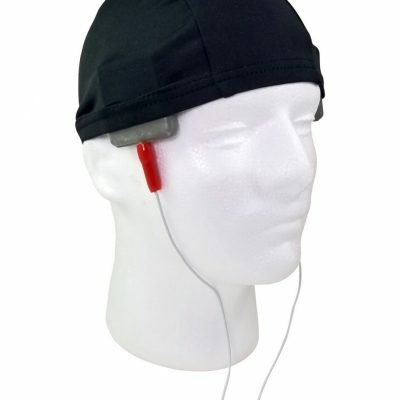 Worn-out sponges can also results in uncomfortable tDCS sessions. The most common side effects reported with the use of old sponges are increased tingling, itching, and sometimes mild stinging sensations. Therefore, it’s a good idea to replace your sponges regularly to ensure your electrodes function properly for optimal tDCS sessions. We’ve found it is best to replace tDCS electrode sponges once every two weeks, or after 7 tDCS sessions. However, the best results can be obtained by using new sponges for every session.